Los Angeles is gem for live music. 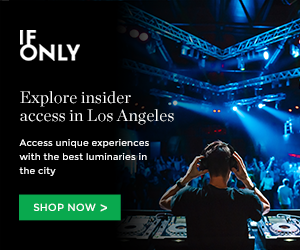 From the buzzing Sunset Strip to the hip East Hollywood indie/underground venues, there’s always a variety of bands to catch live. What most people don’t know (especially visiting tourists) is where to catch FREE live music. We all know concerts can get costly, but there are some free concerts on the daily if you just search (or check out Grimy Goods’ weekly and monthly show lists). One of the best things about live music in Los Angeles is the amount of free monthly residencies and free shows this great city holds. Those with an appetite for live music can check out a free residency night (usually Monday or Tuesday) and discover some of the best up-and-coming talent. It wasn’t too long ago when we discovered Fitz and The Tantrums at their free Monday night residency at Spaceland (now the The Satellite). Now, the band is all over the radio and selling out venues left-and-right. THE BEST LOS ANGELES CONCERTS THIS JUNE! The month of June glistens with numerous free residencies and shows, but we here at Grimy Goods have narrowed it down to our top three selections. If you’re in LA, or visiting our fine city of Angels, be sure to check out one (if not all) of the free monthly residencies below. Just a couple weeks ago, Los Angele trio Midnight Faces grabbed our attention with their new single “Heavenly Bodies.” Addicted to the song’s electronic “oooh oohs,” the song is just as enticing as the band’s forthcoming album of the same name. For those that have an affinity toward post-punk sounds and dreamy 80s flavors, Midnight Faces are your jam. Check out our recent feature on the band. Soft, lovely and ethereal. These are all things that come to mind when listening to the picturesque tunes of Steady Holiday. Led by Dre Babinski, Steady Holiday sounds as though it should be featured in an other worldly fantasy film such as Lord of The Rings. From her seductive spellbinding vocals, to the band’s twinkling psychedelia and lulling melodies, Steady Holiday is an absolutely lovely listening experience. Steady Holiday is set to release their new album Under The Influence, out June 24th via Infinite Best Recordings. Visit Steady Holiday’s Bandcamp page here. With sweet crescendos and a style that sounds as though it came out of the sweet spot of the 80s (especially John Hughes films), Dream Vacation will take over the new Highland Park venue The Hi Hat for one night on Monday, June 6, and the show is FREE. Front man Ray Silva’s vocal swoon will have you melting for more serenades as the band’s atmospheric and experimental sounds will keep you in a delicious dream state. Think Local Natives meets Explosions In The Sky. Dream Vacation have a FREE show at The Hi Hat on Monday, June 6 (however, we wish it was a monthly residency). Supporting Dream Vacation are Higuera, The Knitts, and Act As If. Check out Dream Vacation’s Facebook page here. For more exciting shows this month, check out our 42 selections for the best Los Angeles concerts this June! You can also check out our weekly show list for a day-to-day outlining all the best shows happening in and around Los Angeles. This entry was posted in Best Free Residencies of the Month and tagged dream vacation, la bands, Midnight Faces, steady holiday on June 6, 2016 by Sandra Burciaga Olinger.